The train to tibet is the highest railway in the world. 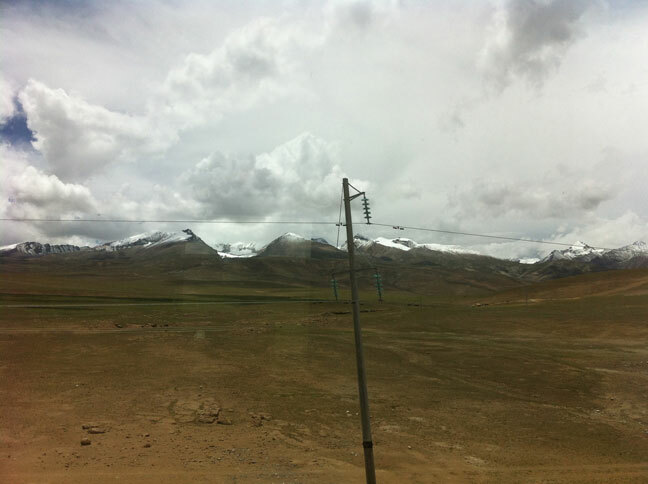 The train to Tibet leads you through the beautiful highlands of the Tibetan plateau. Stunning views at nomads and their yaks, many lakes and even the desert. The train to Tibet, the highest train ride in the world, is breathtaking. The Qinghai – Lhasa railway is the highest railway in the world. It’s an important connection between China and Tibet opened in 2006. The Qinghai – Lhasa railway connects the cities Xining and Lhasa with each other, Xining is located in the Qinghai province. The length of the highest railway in the world is 1,956 km (1,215 mi). China opened the last part of the railway in 2006. Passenger trains run from Beijing, Chengdu, Chongqing, Guangzhou, Shanghai, Xining and Lanzhou to Lhasa (capital of Tibet). Because of the high altitude passengers could get altitude sickness in the train to Tibet. The lack of oxygen causes this altitude sickness and should be taken very seriously. Therefore the traincabins have oxygen outlets. 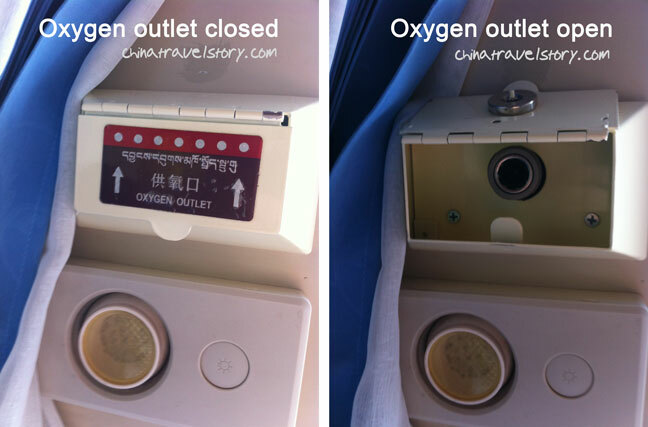 These oxygen outlets supply the train cabins of extra oxygen if needed. Passengers can also connect a tube to the outlet if they feel bad. 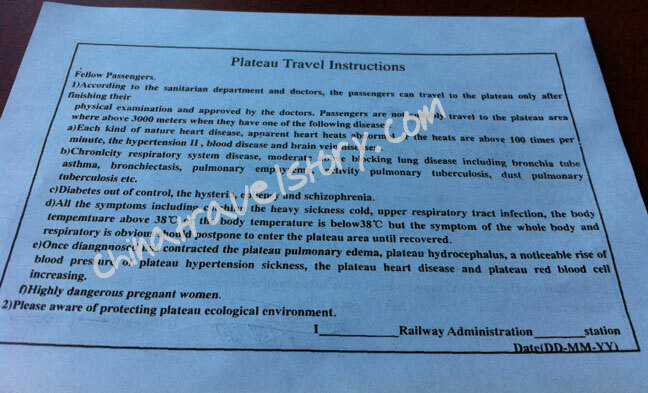 Passengers have to sign a health registration card to take the train to Tibet. This means that they sign an agreement that they are healthy and go on their own risk. Also see the picture of the health registration card below. 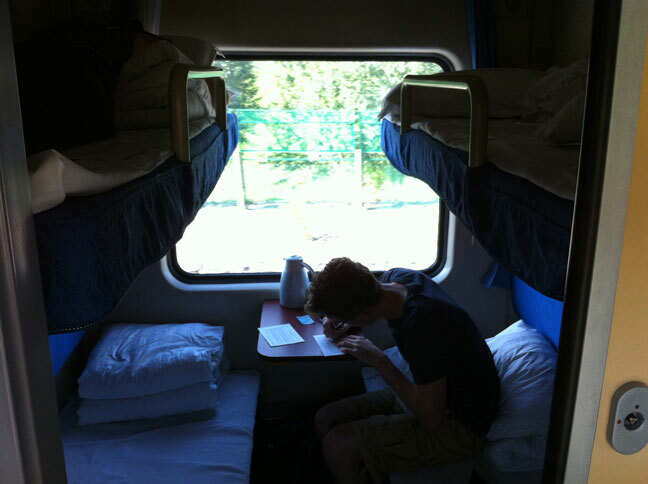 During July 2014, we took the train from Chongqing to Tibet. The ticket was 1165 yuan / RMB, which was around €150 in that time for a soft sleeper. The train ride was about 48 hours in total! But with the stunning sights we enjoyed the ride very much. As you can see the hard seats are not that comfortable to stay for 48 hours. We were happy to have a soft sleeper cabin. Chinese train passengers are always buzy with eating. as you can see in the picture. 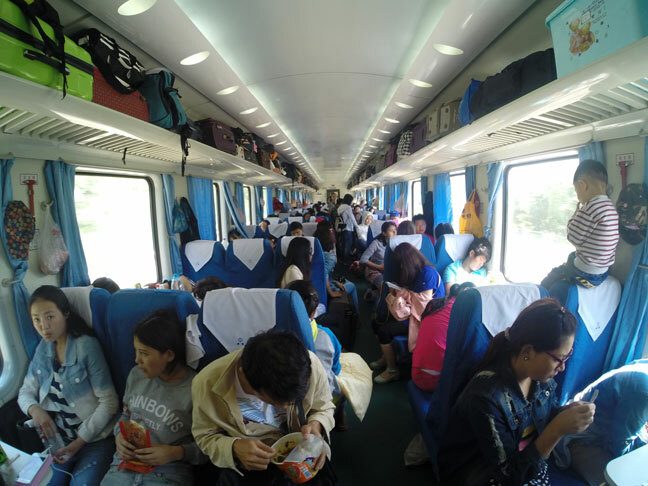 The people in the front are eating noodles (hot water taps are available in the train), chicken legs and sunflower seeds. Soft sleeper cabins have 4 comfortable beds. There are also 4 oxygen outlets and 4 televisions (which didn’t work in our cause). 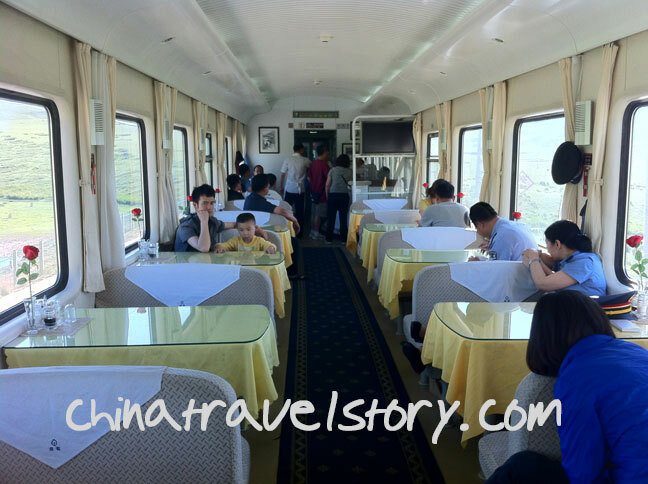 There is a restaurant on the train were passengers can order Chinese meals. Also beers and other drinks can be enjoyed here. The train has a small public bathroom where passengers can brush there tooth. 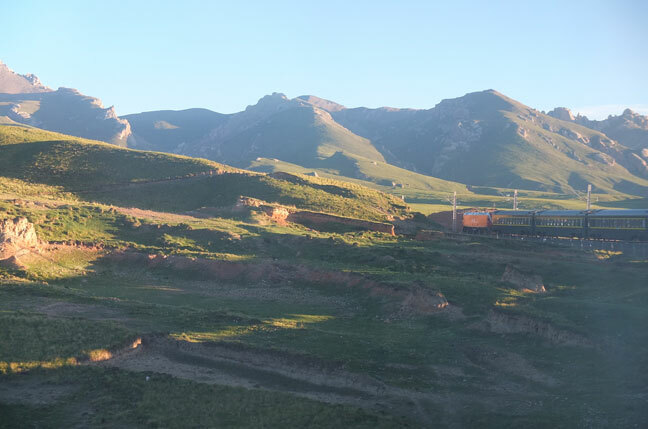 The Qinghai – Lhasa train between the peeks of the mountains in Tibet. The blue sky during the monring. 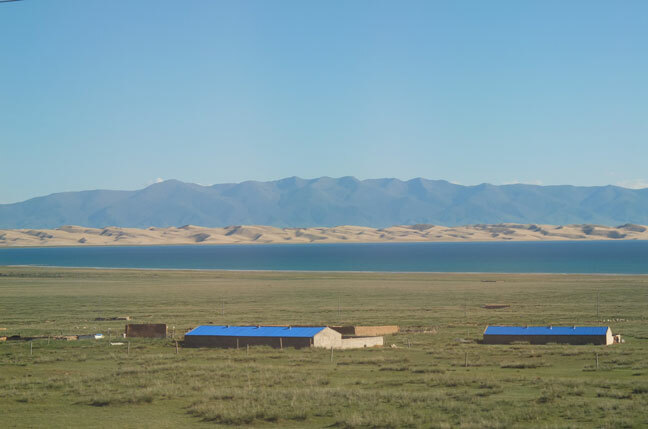 A stunning view with grasslands, the Qinghai lake, the dessert and mountains in one picture. 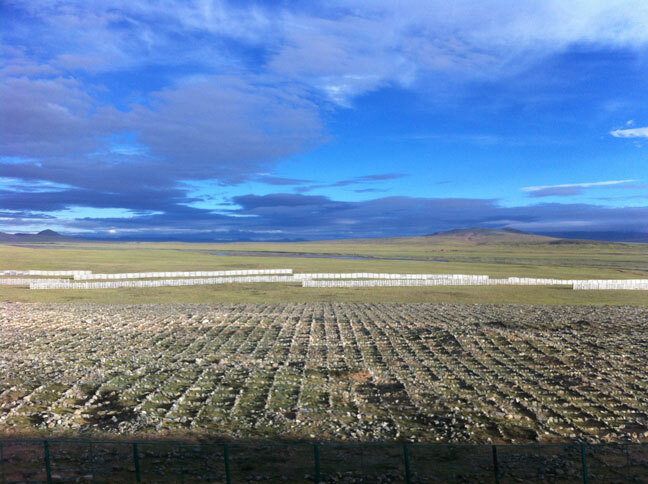 Highlights in Tibet and arranging this tour with permits. content, and make it unique. Just liked this post on FB. Thanks for the fantastic read. Very informative post! 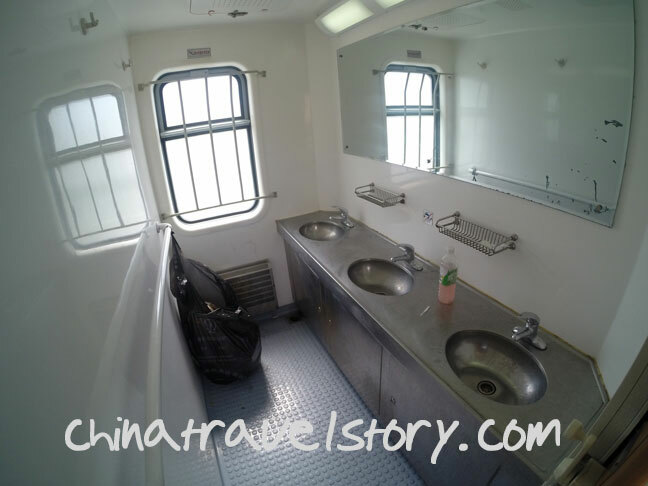 thanks for sharing…Tibet train ultra-convenient and the much safer way of exploring Tibet beauty. 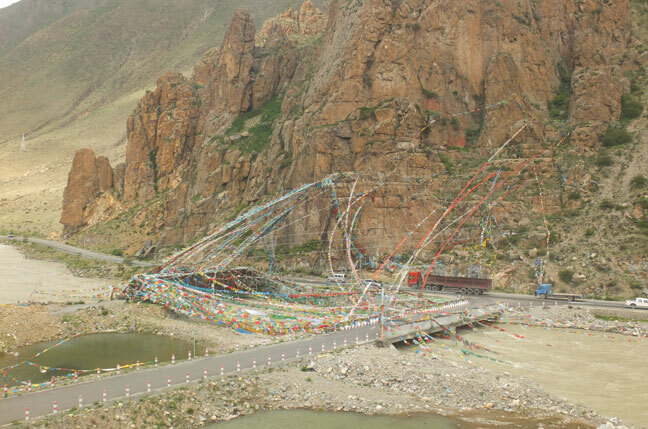 The Tibet Train tour will make you have a dynamic experience of traveling on the roof of the world and enjoy the beautiful view along the route.